Going outside and painting rocks is something we do often but when it’s rainy outside we bring them in and kick it up a notch. 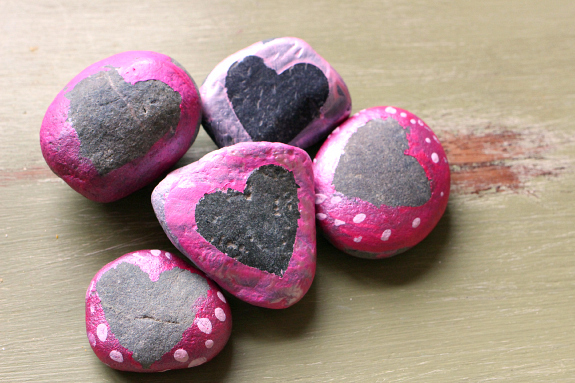 These heart rocks are inspired by our Rock Easter Eggs. 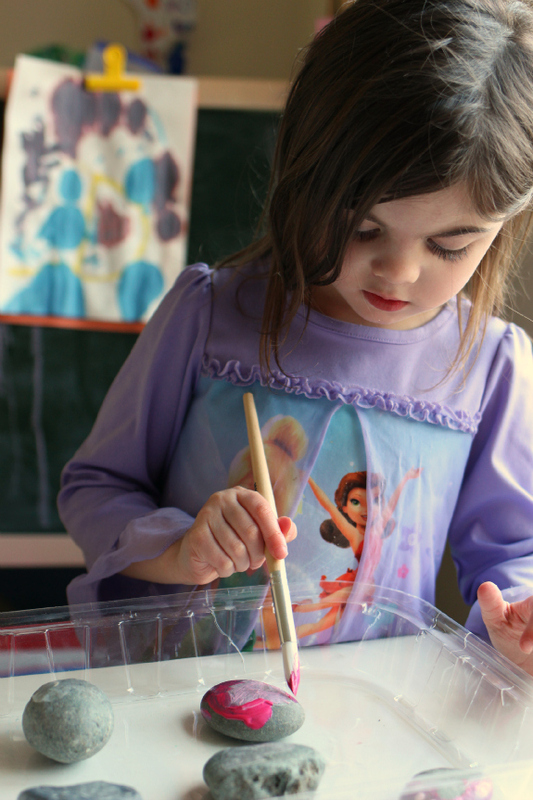 I love using stickers and contact paper for resist painting because young children want to make shapes that they are just not able to yet. This lets them make a heart and it’s a little magical too. 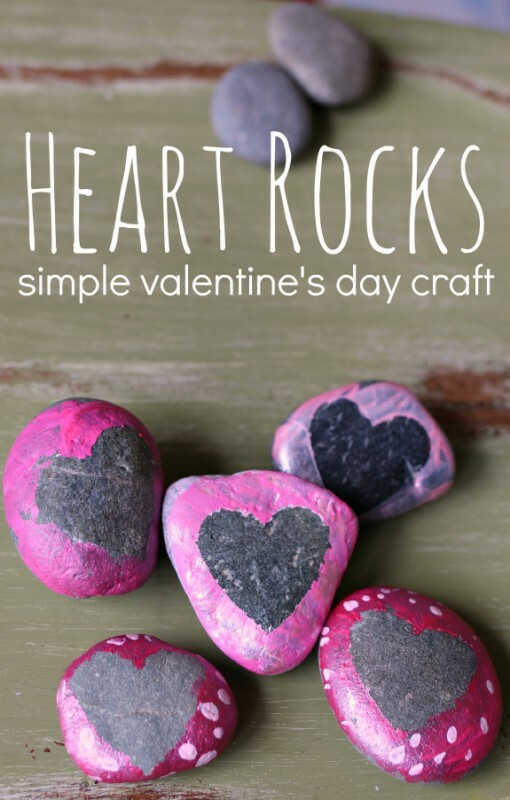 Here is how we made this fun Valentine’s day craft. Gather your materials. 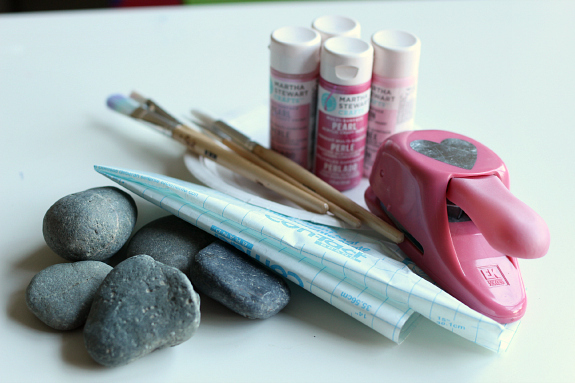 You will need some clean rocks, acrylic paint, brushes, a dish for the paint, contact paper, and a heart punch or scissors. 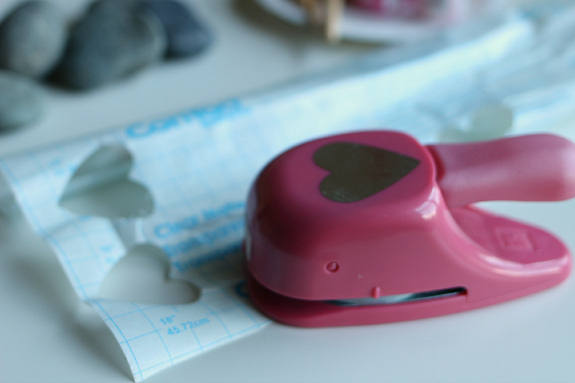 Start by punching out the contact paper with the heart paper punch. If you don’t have a punch you can use scissors. 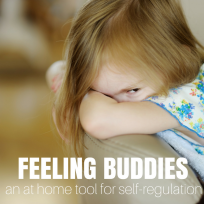 Place the contact paper on the rocks. 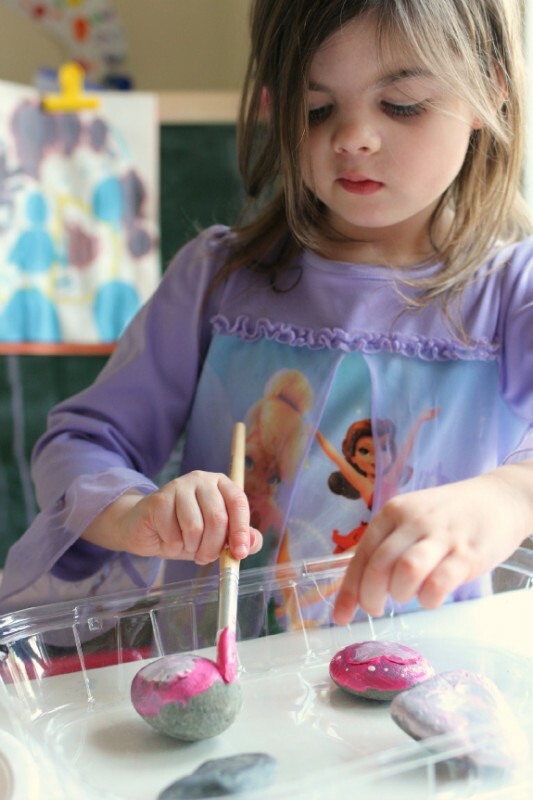 Pour the paint into the dish and you may want a dish with edges to keep rolly polly rocks in one place. 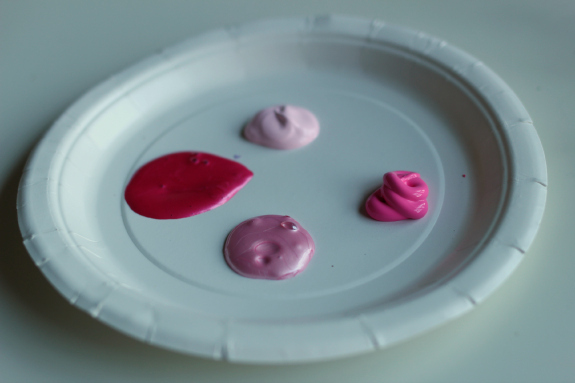 I love how when you give a child a small object to paint them immediately become so much more careful. There weren’t many steps so I grabbed a rock and painted as well! Let dry very very well before peeling the hearts off. 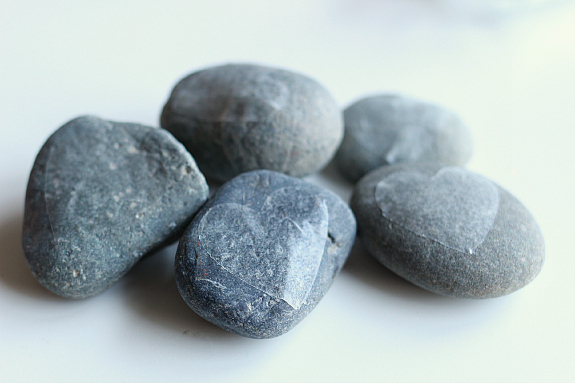 Scatter the rocks around for a little more love in your house.